TSA failed to find fake explosives 96% of the time. 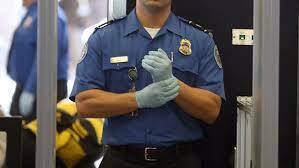 We are wasting out time and money on TSA. Undercover agents were able to sneak fake explosives and banned weapons through Transportation Security Administration checkpoints, in an investigation that revealed a massive, system-wide security failure at America’s airports. The findings were part of a DHS inspector general probe. The report is still classified, but Fox News has confirmed the investigation found security failures at dozens of airports.